If you’d like music for your meditation event, there are some very willing sannyas musicians in this area. Contact Surabhi on msurahbhi@yahoo.co.uk about her playing either on her own, with one or two others, or for a gig for the whole band. Contact Yatro on premyatro@hotmail.com about her playing for Heart Dance. I’m delighted to announce a day of Osho meditations with live music by Surabhi and Presence. It will be held in Bristol on March 27th. Many of you will know Presence from the meditation events at Croydon Hall. They are a group of amazing sannyasin musicians with a real passion and gift for creating music for meditation. We’ve very lucky to have them – it was one of those times when the planets align and at quite short notice we could fit people’s schedules together. It’s very special to do meditations with live music, and an opportunity not to be missed to spend a whole day with Presence. Where: St Michael’s Hall, near Bristol Royal Infirmary. On this map, the entrance (people and cars) is by the letter “P” in “Park Ln”. There is free parking in the school grounds. Coming down Whiteladies Road > Park Row, turn left into Lower Church Lane, then left into Old Park Hill. Coming down St Michael’s Hill, turn right into Lower Church Lane, then Old Park Hill. Please bring: packed lunch; a cushion to sit on; a shawl or light blanket; and optionally a blindfold. If you’ve not been before, as well as stillness and silent sitting, Osho meditations involve movement and dance, so you need to wear loose comfortable clothes. Any questions? For contact details, please see About. Music is my contribution to [meditation]. Buddha would not have allowed it. On that point we would have quarreled. He would not have allowed music; he would have said that music is a disturbance. He would have insisted on pure silence, he would have said that is enough. But that is where we agree to disagree. To me, music and meditation are two aspects of the same phenomenon. And without music, meditation lacks something; without music, meditation is a little dull, unalive. Without meditation, music is simply noise — harmonious, but noise. Without meditation, music is an entertainment. And without music, meditation becomes more and more negative, tends to be death-oriented. Hence my insistence that music and meditation should go together. That adds a new dimension — to both. Both are enriched by it. Music comes closest to meditation. Music is a way towards meditation and the most beautiful way. Meditation is the art of hearing the soundless sound, the art of hearing the music of silence — what the Zen people call the sound of one hand clapping. When you are utterly silent, not a single thought passes your mind, there is not even a ripple of any feeling in your heart. Then you start, for the first time, hearing silence. Silence has a music of its own. It is not dead, it is very much alive, it is tremendously alive. In fact, nothing is more alive than silence. Music helps you from the outside to fall in tune with the inner. Welcome to this new website. I’d like it to be a point of reference for anyone in the Bristol area interested in Osho’s extraordinary work. I also intend to organise some Osho meditation days and other events. It probably won’t be very active as a blog, but the blog format has lots of technical advantages. So far there are two pages of information. 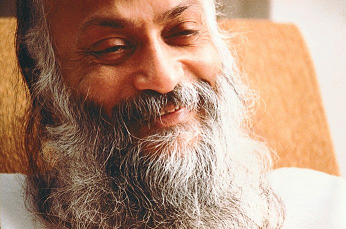 There’s a (very selective) list of Osho-related meditation events in the area, and a pretty comprehensive travel guide to visiting the Osho meditation resort. For contact details, please see About.